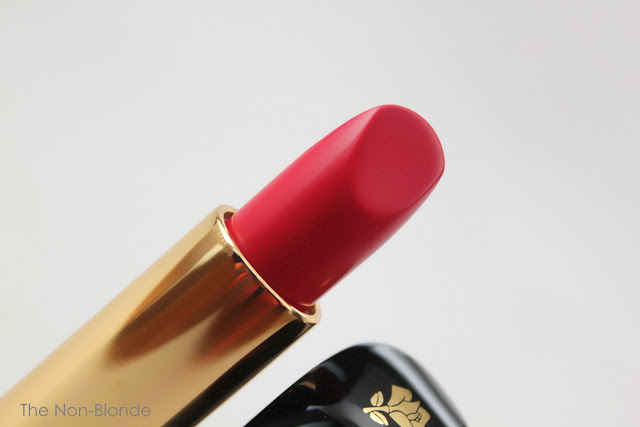 To celebrate their 80th anniversary, Lancôme launched three new shades in their L'Absolou Rouge range. The colors are based on nostalgic shades, but all look modern and wearable. And the formula is, of course, their very best. 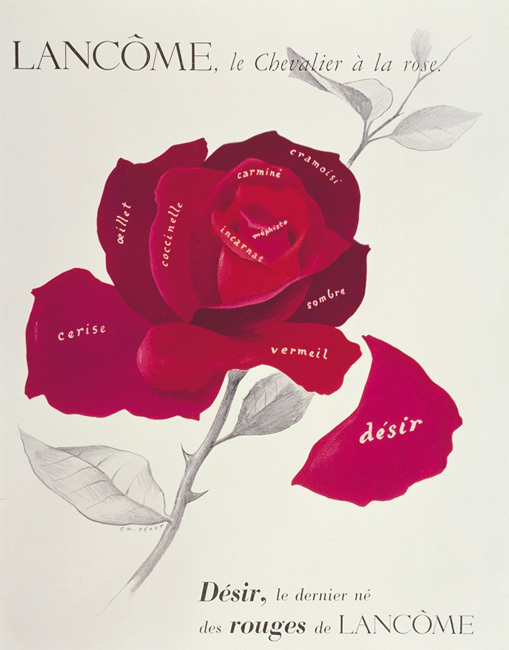 I chose Rouge Desir 1951 because Impatient 1949 was far too light and powdery pink for me, and for some reason I decided that the redder Rose Tango 1958 would become more fuchsia on my lips (a decision I may need to revisit). So 1951 it was, and at first I was taken aback slightly by its brightness. But the color is gorgeous, and depending on your skin tone and more important. lip pigmentation, this is incredibly wearable. I don't post lip swatches for two reasons. First, as much as I like all of you, I don't want us to get so physically close (seriously, lip closeups freak me out a bit). But the more important reason is that my lips are naturally much darker than most and skew lip product colors so much that it would make the swatches ineffective and irrelevant for most. Usually people who share my skin tone have lighter lips with much less purple in them. Thus, my more neutral arm is better for showing the true color of any lipstick and you can mentally adjust for your own lips. 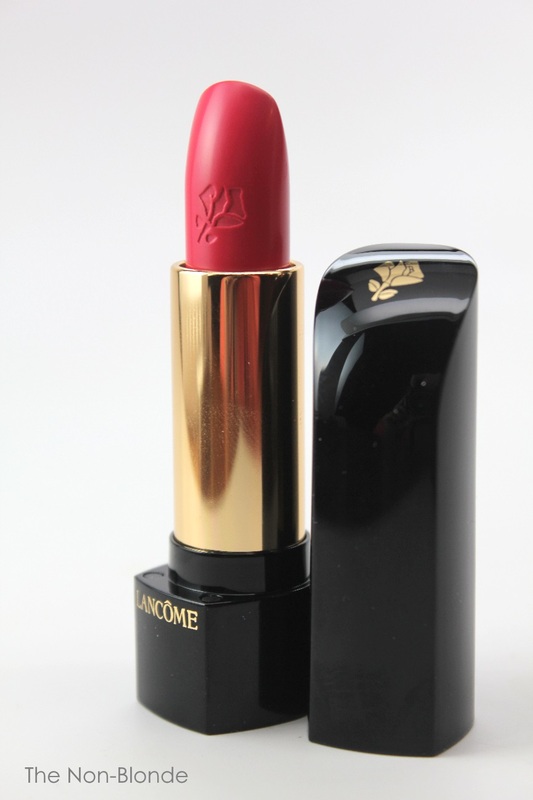 The bold pink element in Lancome's Rouge Desir 1951 is considerably toned down when I wear it. The red-based pink takes on a plummy undertone, while still giving my face a much-needed brightness. It's a cheerful color, more timeless and classic than a typical fall color, and I find it very flattering and kind of French in the best possible way (you know the look: mascara, maybe a hint of natural eye shadow in the crease, lipstick and nothing else. Or at least faking that "nothing else"). It's a color that makes me happy in one of my favorite lipstick formulas. 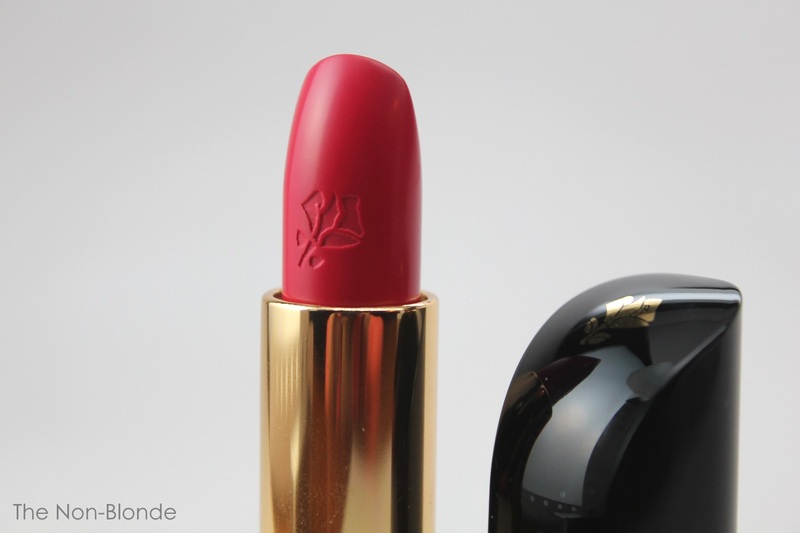 Like all Lancôme lipsticks, L'absolou Rouge is classically perfumed. It's smooth with little slip but a lot of moisture that makes it feel luxurious and healthy on the lips. The finish is satin, no sheen but not matte either. Longevity is among the best I've came across. The lipstick holds on for dear life, leaving a stain that you need to actively remove with an oil-based or a dual-phase cleanser. 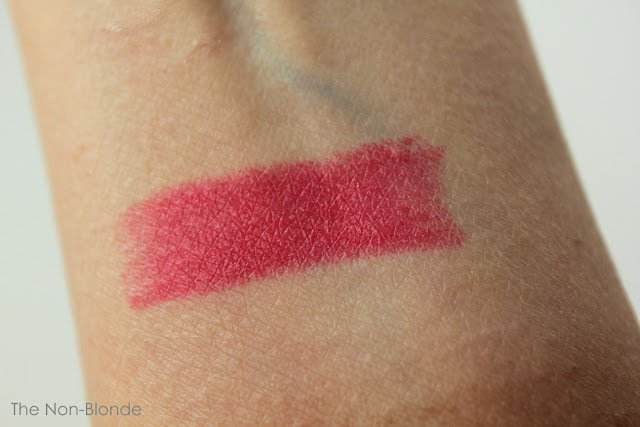 Every time I swatched Rouge Desir on my arm I was left with its remnants even after multiple showers and using an oil cleanser. It might be a bit much, actually, but I think lips are a bit more willing to let go of the lipstick. Eventually. 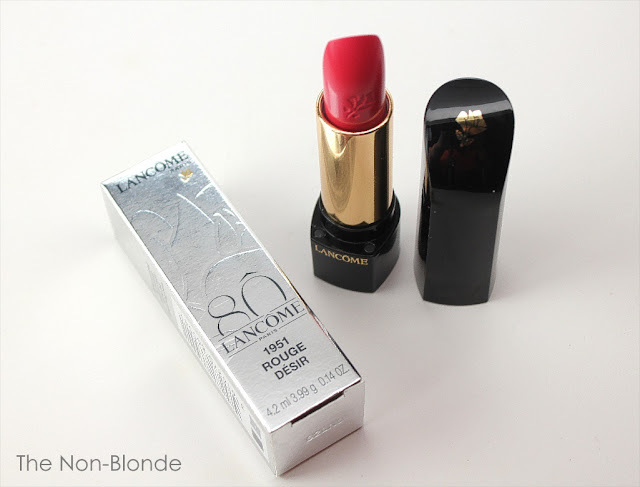 Lancôme 80th Anniversary L'Absolou Rouge Lipstick Rouge Desir 1951 ($30.50, made in France) is a limited edition color and exclusive to Lancome.com (lancome-usa.com in our case). From the UK Lancome site..."1951 Rouge Désir: Inspired by the electric femininity of Vivien Leigh, a woman so desirable, yet inacessible. Full of love and passion." I can imagine a young Vivien Leigh wearing that color. I just love that bold color, Embrace your presence, your radiance, your unstoppable energy and help Look Good Feel Better. I'm so glad to see this review because I was considering trying out this color. I have a purplish-brown tone to my lips, so I have the same problem of my lipstick never looking like the color on the tube. It's good to know that it's probably wearable for me.